Home › Announcements › Deivathin Kural Sathsangam Volume 2 Starting Tomorrow! Deivathin Kural Sathsangam Volume 2 Starting Tomorrow! 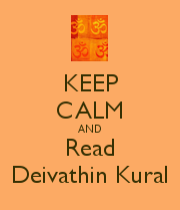 Before Deepavali 2016 Adiyen posted a message stating that we are starting off with reading of Deivathin Kural volume 1. It has been more than two years since then and with Paripoorna Krupa of Sri Maha Periyava and our Aacharyal’s anugraham we have successfully completed reading Volume 1. Tomorrow (Dec. 22) we are starting with reading of Volume 2. We don’t rush through chapters for the sake of completing it. We read the chapters in sequence at a measured pace, contemplate on Sri Periyava’s teachings with crisp recap of every chapter, discuss key takeaways from every chapter/section, etc. 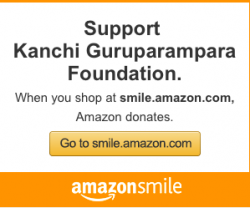 That said, we won’t digress and the focus is always razor sharp on Periyava’s words. We have also recorded every session (audio) and will post it shortly for devotees benefit. Tomorrow (Dec 22) we are starting off with Volume 2 and I take this opportunity to invite you all to attend. Some have asked me if they should have completed Volume 1 to understand Volume 2. Not really. 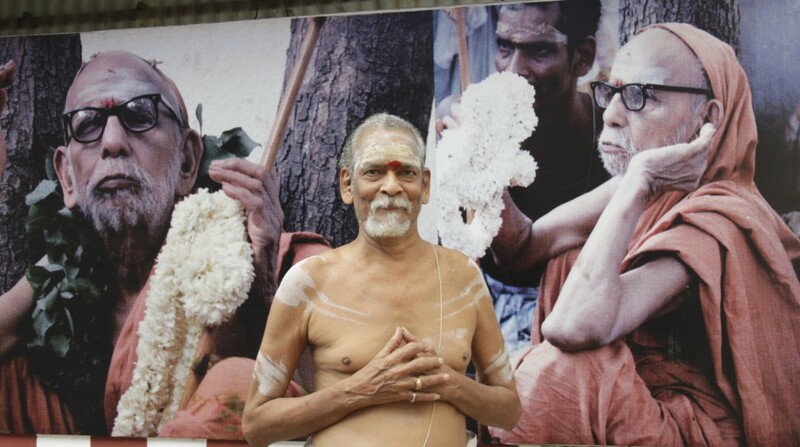 Every topic has been logically arranged by Shri Ra Ganapathi Anna in such a way that anyone can read any volume and stay fully connected with the content and upadesams of Periyava. Folks in Bharatha Desam, please dial +1 before the toll-free number in Skype. Vol 2 of Deivathu Kural contains important advice regarding Upanayanam.. Age, method,… no pomp & show,. Learning the sandhya mantras and procedure,. Importance of wearing poonal etc…. Yes waiting for Volume 1 recordings since somehow I have missed the Volume 1 notification in 2016 (though I am a member of this blog since 2010). I was very happy and it was very satisfying to participate in the Satsang to-day. Thanks a lot. Jaya Jaya Sankara! Hara Hara Sankara! Came to know about this satsang just now. Will participate to receive divine nectar. Is this satsang in English or Tamil? I cannot understand Tamil. Also, I am looking for daivathin kural all volumes in telugu .. pl. let me know where can I get it.